While I get set to release my newest book — about a month from now — I’m going to run some excerpts (maybe) and some awesome guest posts (definitely). That way, those of you starved for knowledge, which usually means your condition after you’ve read my stuff, will not be, because these guest posts are on topics of necessary interest and are also meaty (or veggie, if you aren’t a meat eater). I’m starting this with Elizabeth MacAuley-Italiano, someone I’m happy to say is an expert on customer engagement. I’ve met her — and been duly impressed — over the past few months by her acumen, knowledge, and skills (pretty much all there is to be impressed with in a human being), Oh, and her good nature. That’s the other thing. She is an accomplished professional who has a long history in customer success, both management and, well, success. She not only has some definitive ideas on customer engagement, but also a methodology on execution of customer engagement strategies and programs. It starts with a definition and a framework, and so does she. I have a keen interest in this area. In fact, I’m so diligently finishing up the final galleys on the very same topic. So, what she had to say got me thinking and going — as it will you. Read on. If you want to get in touch with her, you can schedule a call or learn more about her company, WnTD Partners, by clicking on the links I’ve given you here. No matter what you decide, however, read this. Fun fact: When you Google “What is the definition of customer engagement?” the results provide you with a whopping 38 pages of various definitions. A universally accepted definition is frequently sought after but often elusive. So, why is it so darn hard? Why does it feel like achieving the valuation for unicorn status is more attainable than defining customer engagement in a way that is universally accepted and meaningful? It’s because we should be asking a different question and defining something even more important than customer engagement. What we should be asking and defining is “What is the desired state of customer engagement?” However, before I get into providing a definition, I’m going to take a few moments to provide some background on why this is so important and meaningful to determine. A leader I once worked for (and still look up to), David Alston, said to me one day when I was puzzling over finding an answer to a particular question, that perhaps the problem didn’t lie in the answer being hard to find, but that the problem was in the question itself. He suggested that I should try looking at the problem differently and approach it with another set of questions. That has stuck with me ever since, and I believe this is one of those times that in order to get to the heart of the matter that we are truly trying to solve for we should re-evaluate why we are trying to define customer engagement in the first place and reconsider the question itself. I’ll go as far to say that it can become a daunting exercise to create an effective framework when trying to use a single definition of customer engagement as your north star. Believe me, I’ve tried and I’ve worked with many others who attempted it that way too and it doesn’t work. Fortunately, I’ve found a method that does, and I’m going to share it with you. The fact is, there is nothing wrong with many of the definitions out there but simply defining customer engagement is not going to help us achieve results. With that in mind, what we need to do is to flip this question on its head and look at this from a different angle. A “paradigm shift” if you will, to quote the late Steven Covey. Defining customer engagement as a standalone term and outside of any proper context is as meaningful as stating “my churn is one.” One dollar? One customer? One User? One percent? My statement of “my churn is one” is difficult to understand without context. But when you think about it, simply defining customer engagement (CE) without any context is just as fruitless. It’s also why trying to use a single definition of CE can feel so daunting. It doesn’t communicate something that is useful and practical that we can apply to our business and organization. It’s still very important to define CE, but it needs to be done in the context of both a bigger picture and something more precise. We need a concept, definition, and framework that we can visualize implementing into our organization and that goes beyond having a pragmatic one sentence description. We need to understand what it means to us in the context of logic, emotion, and our business model. Further to that, because we are analytical beings that possess critical thought, we need to be able to define it in a way that is measurable. Herein lies why we need to be asking “What is the desired state of customer engagement?” (DSCE). We now have context and can measure customer engagement in relation to DSCE. An output and offer of information from an organization with the intent to provide value to a customer, which in turn results in a causal effect on the customer’s intentions and actions. For me, as a CS professional, when I made this shift and started using this model the process of creating engagement frameworks went from daunting to exciting. I could see in my mind’s eye how applying the desired state of customer engagement formula could help create an impactful customer journey that was measurable. I could clearly connect the dots between our efforts in our customer engagement framework and how it would help to deliver results to both the company and customers. In a recent conversation with Paul Greenberg, we were discussing customer engagement, and he made the interesting (and true) point that the single thing all people on the planet have in common “is the desire to be happy.” This statement gives off a feel-good vibe like a warm fireplace on a cold day, but there is a resounding practical and applicable element to it as well. Defining these concepts is just the tip of the iceberg in this discussion. It’s now time to get into actionable guidance on what you can do with these definitions, how to apply them and the formula for creating and measuring the desired state of customer engagement. So don’t leave our fireside chat quite yet. Go refill your apple cider or wine, if you must, because we are now going to get to the good stuff, as I walk you through the framework and how to measure your results. For the purposes of this post, I won’t get into the math behind the formula. I think it’s more important to discuss why each of these units of measure is important and what level of understanding we should have of each component. For example, understanding whether a customers intention is to go from an out of date process to a “new to them” way of operating or whether their intention is to switch from a competitive solution can put a different lens on how to best engage with customers during onboarding. There may be a steeper learning curve in the former scenario. There could be a higher degree of change management required as well, which can have implications on your customer engagement. If we don’t know and understand the answers to these types of questions it is difficult to determine intent. Not knowing our customer’s true intention could undermine our efforts to be seen as a trusted advisor that understands their business. The desirable mode of operation when it comes to customer success is to be operating proactively. In order to be effectively proactive we need to accurately anticipate customers” needs so that our efforts can have a positive impact. Understand and anticipating the needs of our customers allows us to answer questions before they are even asked and solve problems before they occur. Also: Personalization at scale: What’s the tech again? ● Our understanding of what our customer’s needs are throughout their buying cycle and in their post-sale journey. If the answer is “no” to any of these questions it’s time to revise your customer engagement and customer education strategies, perhaps even your overall customer success strategy. In order to have successful long term customer engagement and loyalty, it’s critical to address the above questions. If you don’t, your organization will likely score lower in the areas below as well. Achieving product adoption is one thing but achieving successful product adoption (SPA) is an entirely different beast, and it’s one of the most important factors in reaching the desired state of customer engagement. Remember how part of the definition is “customers fulfilling their intention in order to achieve their goals and desires’? Well, they can’t achieve their goals and desires with your offering and product without SPA. In order to achieve SPA status, we need to understand your customer’s goals, needs, uses cases, and intent. It’s also accomplished by creating a path that customers are guided down, which should be prescriptive and deliberate. Measuring SPA is also not as simple as “Do they use our product?,” followed by a “yes” or “no” answer. It’s multi-faceted and requires deeper analysis. I’ll add the caveat that this deeper analysis does not need to be overly complicated but it does require more than answering one simple “yes” or “no” answer. At times Customer Communication and customer engagement are terms that are used interchangeably. It’s important to note the difference between the two so they are applied and measured correctly within the desired state of customer engagement framework. One last note on communication and engagement — a question that some of you may have and is worthwhile to address is: “What about when there is engagement but it’s negative?”. It’s a fair question and point. After all, customer engagement can be positive, negative or neutral. For example, you could be engaging with a customer because they are churning. Your customer engagement could entail executing on a strategy and plan to try and retain this customer, but they may end up churning regardless of your engagement and efforts. This results in a negative outcome, however, it is still customer engagement. But who engages with a customer striving for a negative outcome? Nobody. This is why all of the elements of the desired state of customer engagement are so important. They help to mitigate the risk of negative engagements and puts CSMs in a better position to manage them when they do inevitably occur. What does it take to reach relationship status with a customer? Just because someone is a user or a customer does not necessarily mean you have a relationship with them. Perhaps the foundation has been laid for a relationship and a transaction has been completed, however, if you do not have ongoing engagement with a customer then it’s difficult to establish a relationship. If you don’t know the answer to any of these questions then chances are you’ll score low here as you don’t have a finger on the pulse of your relationships. Your relationships that do exist could be because of the efforts of a phenomenal customer success manager on your team. Although this is great, this is not scalable over the long term and across your entire customer base. In an ideal world your product is intuitive and requires little training or support, but as we know life isn’t always ideal. The majority of the time some element of training and sharing of best practices is necessary in order for a customer to achieve successful product adoption. All of the preceding factors in the equation that we’ve covered so far will help to enable your customers in achieving their desired and required outcomes. However, these factors alone will not ensure success. Creating a customer engagement framework that offers a consistent experience, as well as reliable and predictable results, will help deliver on the achievement of goals and outcomes for both your customers and organization. Thus, deepening the value of the relationship to both parties. Establish whether they’ve reached SPA status. If you aren’t happy with the results you see, then evaluate your customer engagement framework to see what steps may be missing. I’ve always said that customers should not feel the bumps of your internal processes or fall through the cracks of your customer journey. If they do, it’s quite frankly not good enough. Whether you’ve mapped out a customer journey or not, your customers are going through some sort of a journey and you better make sure it’s a smooth one if you want to keep them as customers. Another factor you need to determine is whether your customer journey path provides a predictable and reliable outcome. Will doing A predictably achieve getting to B? I’ll add the caveat that predictability does make the assumption that you’ve sold to the right customers so you can predict a likely outcome and that your product is not experiencing any major bugs. By now you’ve seen some overlap in the factors of the equation. Predictability is mentioned in both outcomes and the optimal customer journey, as an example. This is intentional as all parts of the equation need to come together to achieve the desired state of customer engagement. These concepts cannot be solved for in a vacuum. Maximum results are achieved when all of these factors are included in a comprehensive strategy and executed on through a well thought out tactical plan. Well, I hope you enjoyed our fireside chat and your beverage of choice. If you are feeling a little overwhelmed as you read this, don’t worry. You are not alone. If this was easy every organization would have nailed this process already. It’s is no easy task. That’s the bad news. The good news is is that it is quite possible and now you have a framework to start with. You have a desired state of customer engagement to strive toward and measure against. And, let me tell you, in the customer success world, there isn’t anything quite so satisfying as seeing your engagement framework come to light, how it helps your customers, and how it delivers results for your organization. The effort is worth it. Emerging companies in the tech world are a dime a dozen that tend to fail in anonymity. Once in awhile a company breaks free from the pack – usually because they behave as a company and not just an institution with cool tech. The EMI Award is for the small and emerging company closest to a break out. I have a lot on my mind. Some of it wouldn’t make a PG-13 rating. What is here will, and they are small observations about our industry to begin the new year. E-commerce, business as a force for change, vendor movements, B2B, B2C, the best acquisitions, and, of course, the inimitable Steven Wright. Closeup of group of application developers discussing about certain code for an application. There are two men and a woman and she’s pointing at computer screen. Blurry people in background, also released. Orange light flaring from the background. Headquartered in The Netherlands, the European Business Process Institute (EBPI) provides a number of technology solutions to its clients that create efficiencies by combining multiple services into one solution for customers in businesses, agencies, municipalities, and federal governments. Their mission is to find a way to create new, automated procedures to make a potential business opportunity of docking cargo ships a reality — all while complying with evolving EU data standards. This challenge required a new, modern technology stack. EBPI turned to TIBCO. With TIBCO BusinessWorks™, TIBCO BusinessConnect™, TIBCO©️ Managed File Transfer, and TIBCO Messaging™, EBPI has an improved platform with new components and modern functionality. With improved messaging technology, EBPI has been able to streamline its border and customs processes, supporting large messaging bursts of up to 30,000 messages per minute. Additionally, EBPI can now onboard customers quickly and safely while doing a fast analysis of onboarding issues to figure out what went wrong and why. With a new technology stack, EBPI was also able to improve customer relationships, providing 24/7 customer service, which resulted in a 25 percent growth in the number of customers. With TIBCO, EBPI can look to the horizon with a new future-proof solution. Now, the company is able to support a greater velocity of messages and continue to onboard more customers. How did TIBCO impact the efficiency of government services throughout Europe? Read the full case study to find out. Microsoft on Thursday announced a number of artificial intelligence, mixed reality and customer insights tools for Microsoft Dynamics 365 at its Microsoft Business Forward event in Paris. Microsoft also announced it will publicly preview a new Microsoft Forms Pro this spring. There is “a consistent theme in all these offerings — providing high degree of flexibility to enable citizen developers and power users while still maintaining technology governance and compliance,” remarked Nicole France, principal analyst at Constellation Research. The AI solutions “are designed to surface next best action and create digital feedback loops over time,” said Ray Wang, principal analyst at Constellation Research. The main competitors to Microsoft Dynamics 365 are Salesforce, Adobe, SAP and Oracle, Wang said. They are building similar capabilities in AI across the board, but Microsoft is ahead in MR.
Dynamics 365 Fraud Protection, a cloud-based solution. A public preview will be released in April. 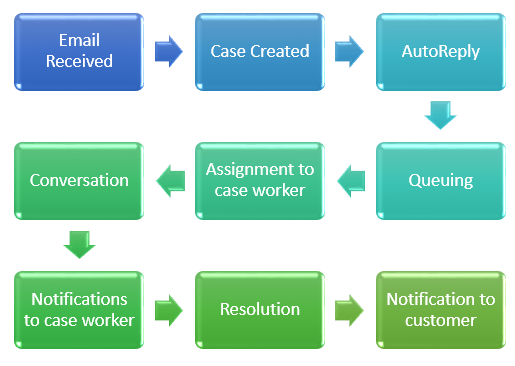 Dynamics 365 Virtual Agent for Customer Service lets business users easily create and manage AI-powered virtual agents that resolve routine problems and requests. 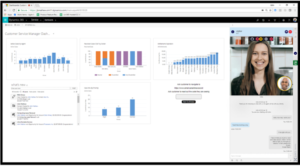 Virtual Agent “is a great example of how business users can configure and launch their own agent apps in a no-code environment, driving greater flexibility and productivity, and being less of a burden and backlog for IT,” Nucleus’ Wettemann pointed out. “Digital businesses need to understand that every revenue-generating call to action that consumers experience — things like account creation, login, buy, share and review — corresponds to risks associated with fraud,” Kevin Lee, trust and safety architect at Sift, told CRM Buyer. 42 percent dealt with account takeovers. 95 percent planned to add more tools or hire more people to manage fraud over the next 12 months. 86 percent of executives were involved in fraud prevention. “By having access to tools that enable digital trust and safety at scale, Microsoft Dynamics 365 customers would see less fraud and more revenue while unlocking better customer experiences,” Lee said. Dynamics 365 Product Visualize is coming to iOS in preview. 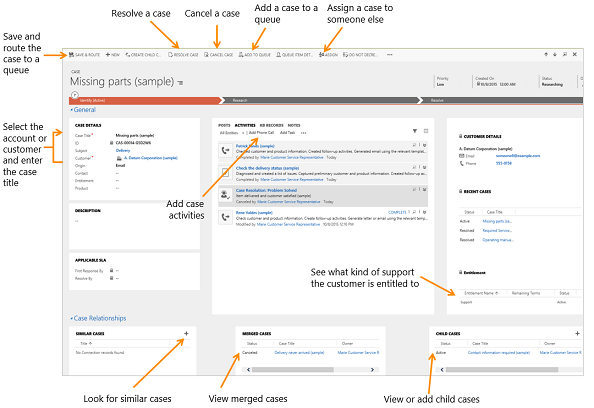 It lets sellers show products to customers directly within their Dynamics 365 for Sales workflow, and spatial and configuration notes are all saved directly within the associated sales opportunity. Dynamics 365 Remote Assist will include mobile annotations, group calling, deeper integration with Dynamics 365 for Field Service, and improved accessibility features for the HoloLens app. Technicians will be able to use either HoloLens or an Android mobile device to collaborate with remote experts and troubleshoot issues in context. “These new mixed reality offerings make it possible to extend field service and sales teams, again, without the need for specialized expertise,” Constellation’s France observed. Microsoft Forms Pro is easy to set up and configure. It triggers surveys around specific events; collects feedback across channels; lets businesses embed surveys across apps, the Web and mobile devices; identifies sentiments automatically; and lets users analyze customer feedback. It will “make feedback management easier, and save time when working on common forms,” Constellation’s Wang said. This story was originally published on Oct. 30, 2018, and is brought to you today as part of our Best of ECT News series. There has been an incredible resurgence of voice as the new user interface of choice, and it remains the chief channel for complex customer inquiries and interactions. As a result, organizations have been getting serious about connecting their voice communications systems to their systems of action — deeply embedding voice in the fabric of customer relationship management systems. To date, voice has been the missing element in CRM systems. After all, there’s nothing quite like the power of a conversation to build a relationship, resolve an issue, or close a sale. 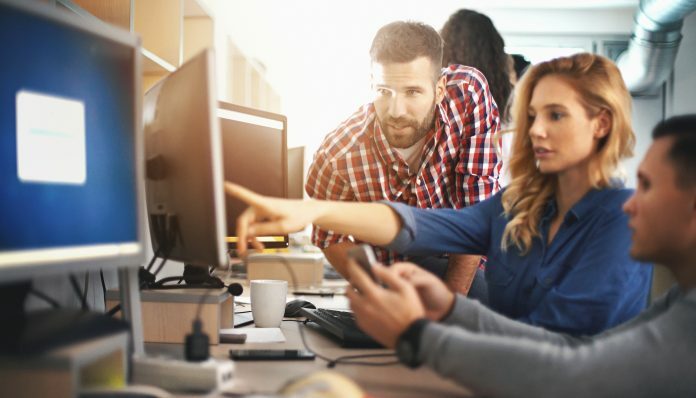 Those conversations are also quite powerful because they are loaded with insights that can help organizations drive connected experiences, contextual actions, and continuous improvement in customer engagement — the three pillars of digital transformation. The blurring of lines of the CRM system and the call center has been taking place for some time now. Expect this shift to move into hyperdrive in 2019, as companies must improve responsiveness in translating voice to action — transitioning from contact center to customer action center. Data mining and speech analytics will unlock valuable “dark data” for improved customer experience. The time frame between when customers give voice to an issue and when organizations take action is out of step with today’s consumer expectations for immediate response. To this end, the contact center must transition to customer action center through timely voice capture and analysis, to transform insights into spoken word actions. This integration of technologies arms enterprises with strategic insights to empower their frontline communication teams to be a step ahead of the customer with guidance and recommendations — speeding actions and resolutions for greater customer satisfaction. As contact centers level up to take on a wide range of new capabilities to revolutionize sentiment analysis in the contact center/helpdesk — such as advanced speech analytics, artificial intelligence and machine learning — the cloud facilitates integration and scalability. A wealth of information on customer and agent sentiment lies within every voice conversation. This dark data has been inaccessible — until now. The advancement of speech analytics capabilities has made it possible for organizations to explore new ways to ingest, analyze, and derive insights from previously untapped and extremely valuable dark data. Data mining of voice interactions to uncover critical “dark data” results in invaluable insights around customer pain points, sales and service best practices, and winning ways to issue resolution. Organizations then can leverage capabilities such as predictive analytics to serve up proactive customer recommendations and “next best action” real-time guidance for agents. The advent and growing adoption of virtual assistants such as Amazon Alexa, Microsoft Cortana and Google Assistant also has significant implications for customer engagement. As consumers’ comfort level with these conversational AI products grows, and as we become conditioned to them in the home and in our daily lives, the expectation for businesses to employ them for customer support has been rising. will be deployed for customer service applications between 2016 and 2022, based on a recent estimate. This trend also will continue to further the mobile device as the “contact center juggernaut in the palm of one’s hand” by enriching interaction through messaging apps and enabling quick answers and speedy issue resolution. Augmenting the work of customer service representatives with AI voice assistants will improve agent efficiency and the agent experience. For starters, touchless “capture” of call notes will automate and vastly improve the input/maintenance of CRM data. Conversational interfaces also will play a vital role in automating the revelation of insights coming from interactions of all types coming into the enterprise — automatically surfacing information on contacts, accounts and opportunities, for example. We’re entering an exciting time where voice is poised to be a dominant force in driving digital transformation and improving customer experience by aligning organizational efforts and customer needs. The opportunities are massive as we see a convergence in 2019 of voice, artificial intelligence and machine learning, continued cloud migration, data mining, and speech analytics. 3CLogic, a cloud contact center solution vendor that offers solutions for the convergence of computer telephony integration and CRM.